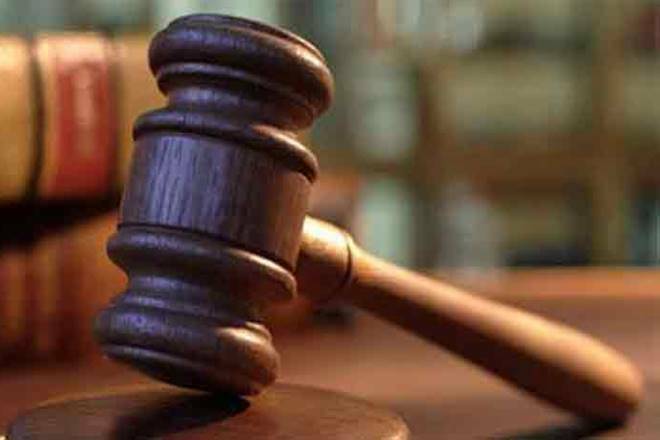 In a strong setback to the backers of right wing ideology, the Law Commission of India has said that a uniform civil code “is neither necessary nor desirable at this stage” in the country.. the Commission said secularism cannot contradict the plurality prevalent in the country. The Commission, led by former Supreme Court judge Justice B.S. Chauhan, said “cultural diversity cannot be compromised to the extent that our urge for uniformity itself becomes a reason for threat to the territorial integrity of the nation”. A unified nation did not necessarily need to have “uniformity”. ”Efforts have to be made to reconcile our diversity with universal and indisputable arguments on human rights,” the Commission said. Difference did not always imply discrimination in a robust democracy. The Constitution grants equal protection under the law to all citizens. That being said, Muslims are governed by the personal law, which came into force in 1937. However, the authors of the Constitution wanted a common set of family laws. Article 44 of the Directive Principles of State Policy in the Indian Constitution mandates that “The state shall endeavour to secure for all citizens a Uniform Civil Code throughout the territory of India.” On account of the intrepid opposition of Muslim members, they dropped the idea but they did not seal the issue; they left it to the wisdom of the coming generations to explore the idea of a generic set of personal laws—a uniform civil code (UCC) applicable to all Indians. The authors had realized that Muslims were stubborn on retaining their personal laws and time was not ripe for the fruition of common civil code. The civil code tinderbox is stoked every few years by both, the political right, and several others who keep stirring the cauldron and have been advocating a Uniform Civil Code since the framing of the Indian Constitution. The issue continues to generate wattage to seed the unceasing storms, the continual quarrels and the dialectics of history. Gender-just reforms are needed to help in correcting gender biases but they should be well intentioned. The reform backers believe that the state should undertake them, to use the words of the great parliamentarian Edmund Burke, with “the cold neutrality of an impartial judge.” And to remember his words again:” No man can mortgage his injustice as a pawn for his fidelity.” The state cannot expect Muslims to jettison the core tenets of their faith. For the Muslims, changes to Islamic law have to be made within the boundaries of the Quran’s teachings if they are to be legitimate. Without the co-operation of the religious scholars, who bestow this legitimacy, the masses will not embrace change. The clerics are critical in the whole equation. The predominant hardliners among their ranks are locked in a virtual and civil war with reformers. Islam may not always be the sole factor in the repression of women. Local, social, political, economic and educational forces, as well as the prevalence of pre-Islamic customs, must also be taken into consideration. In some societies, they are a pervasive influence. But, in many cases, proper application of Islamic law remains a major obstacle to the evolution of the position of women. Muslims are apprehensive of the state’s obsession with trying to “create” a specific type of Islam, rather than allowing them space to simply live Islam – with all its beliefs, traditions, cultures, references and various practices. They see the civil code as a seductively wrapped gender welfare intervention that can be a powerful salient, paving the way for further intrusion into their religious and cultural values. This slippery slope is not lost on Muslims who see it slouching toward a pernicious future for their faith. The depressing social conditions of Muslim women is a phenomenon prevalent mostly among the underprivileged. In economically improved strata of Muslims, the sort of oppressive practices which are being talked about are a rarity. Poverty is the root cause of obscurantism in Muslim families. Economic empowerment is one tide that lifts all the boats. It enables you to provide better education, better housing and better healthcare. It is a virtual cycle that transforms your worldview. The biggest problems facing Muslim women today are economic. They are not likely to be solved with civil rights remedies, but they could be relieved with public and private action to encourage economic redevelopment. More than religious redemption they need economic redemption. A common civil code is being oversold as a silver bullet for gender justice which it is not. It is certainly not going to produce the utopian conditions that are being promised. What is urgently required is draining the swamps of Muslim poverty that are breeding unrest and frustration, leading to both physical and mental violence. The opponents argue that those averse to customary law have several options. There are already a number of laws like the Indian Marriage Act, Indian Divorce Act, Indian Succession Act, and Indian Wards & Guardianship Act which provide a secular alternative for those who want it. This law allows Indians to marry and be governed by secular civil laws, irrespective of the faith followed by either party. Therefore, there is no need to impose on everyone secular civil code. Reform is an unruly horse that can go berserk unless it is properly saddled. The modern trend is for acceptance of diversity. It is equally important for the Muslim theocracy to understand their proper role: Call it religious policing, cultural policing, guardian policing, family policing and community policing. The many names share one vision: humane, compassionate, culturally refined system with a mindset of respect and a demonstrable concern for improving the wellbeing of women particularly when they have been assigned a very exalted position both by the Qur’an and Its Messenger. The community’s social codes do not truly guarantee women a secure place to them as citizens equal to men; such attitudes are preserved by patriarchal and cultural traditions, as well as the continued twisting of Islamic injunctions to suit the needs of misogynists. The reality of Muslim women continues to confound easy categorisation. They have been going to school and university, holding down jobs and earning money for several generations now. Yet they still live with widespread gender-based biases.